A fire on Jan. 20, 2019 in Northwest Washington, D.C. caused serious damage to the studios where MSNBC, C-SPAN, and Fox News are taped. “Fox News Sunday” was forced to broadcast their show from the studio of an affiliate. Washington D.C. Fire Department officials and EMS tweeted that the electrical fire started on the television studio’s 8th-floor and there were no injuries. C-SPAN’s political editor, Steve Scully, tweeted on Twitter at 7 a.m. ET that the C-SPAN and Fox News studio suffered extensive fire damage and the studio of MSNBC had extensive water and smoke damage. Chris Wallace who hosts “Fox News Sunday” discussed the fire at the start of Sunday’s show. Wallace said if the studio looks different today it is because we had a fire in the building on North Capitol Street. We thank our affiliate WTTG for letting us use their studio. He joked that they may not have all the bell and whistles that they are used to but everybody can time travel back to the 1950s and you will feel right at home. Wallace mentioned the studio change multiple times during the broadcast. He thanked Mike Pence for being so gracious about the venue change for his interview. He also said at one point that they did not have Pence’s video remarks he made about ISIS last week. 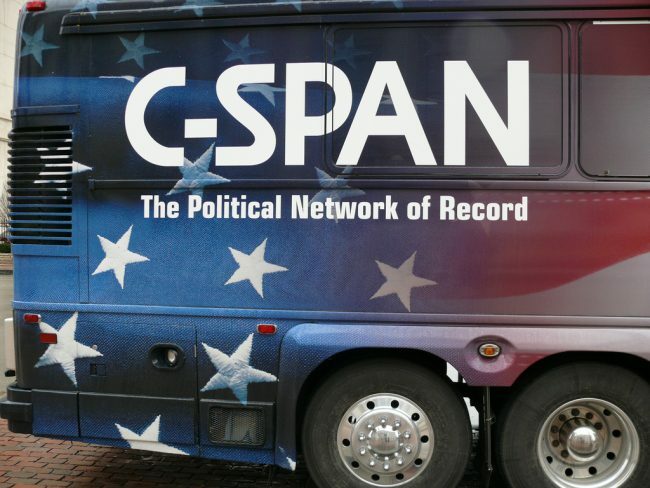 At 11 a.m.ET C-SPAN tweeted that their studio has returned to normal. NBC News Washington bureau chief Ken Strickland reported that all networks would be moved to it’s Washington D.C. bureau as a result of fire damage to the studio. 2 Responses to "Fire Shuts Down and Damages MSNBC, C-SPAN and Fox Studios"
My partner and I absolutely love your blog and find the majority of your post’s to be exactly I’m looking for. Do you offer guest writers to write content for yourself? I wouldn’t mind publishing a post or elaborating on a few of the subjects you write concerning here. Again, awesome website! I get this, but even so I have questions. Do you mind answering?